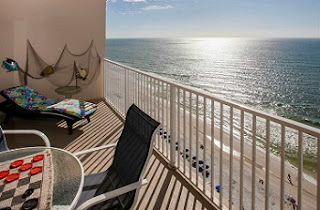 Crystal Shores beachfront condo for sale in Gulf Shores AL. Reduced price! Direct Gulf front condo 2br/2ba furnished. Beautiful views of the Gulf from the 200 sq. ft balcony accessible from living room and master bedroom overlooking white sandy beaches and gorgeous sunsets. Tile floors throughout with carpeted bedrooms. Granite counter tops, knockdown texture on walls and ceilings, crown molding, new HVAC system installed in July 2017. Ready to rent or just to enjoy as a vacation home. Crystal Shores West complex is on West Beach Blvd on the Beach near dining, shopping and entertainment in Gulf Shores.